Start taking classes at Origin Health and Fitness and other studios! Origin Health & Fitness offers strength and conditioning in an intimate atmosphere built on positive energy. Classes are limited to 6 participants to allow for personal attention and intense conditioning. Burn a high number of calories in a short period of time and maintain a high metabolic rate for up to 24 hours after class with Origin's efficient, science-based fitness model. 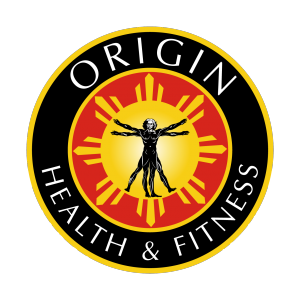 Origin Health and Fitness was founded in 2010 by Cisco Javier after 20 years in the fitness and rehabilitation industry. Origin's instructors have post-rehab backgrounds, with sound training and injury prevention being key components of all classes. Superior training, Superior results, Experience Origin. Please bring sneakers and appropriate workout attire with you to class. Water and towel service are provided, however, feel free to bring your own workout beverage if you so choose. Origin Health and Fitness is located on S Livingston Ave between Amelia Ave and Irving Ave.
Ryan is great and really changes up the workout based on your needs! The class was great! It was tailored to each participants level and needs. Instructor was motivating and knowledgeable. I highly recommend and will be booking again! Great instructor, lots of fun! Ryan is a phenomenal trainer! Get ready to werq!